It’s good to chat, so as part of our commitment to professionals and interested bodies in the health and safety community we will be holding a series of Twitter chats. We recommend you use www.tweetchat.com to follow the conversation by just putting in the relevant hashtag and linking up to your Twitter account. If you have any other topics that you want to talk about, please comment below… happy tweeting. I’ve spent the last week getting all technological and setting up a microsite for a new joint venture with The Co-operative Group called “Safe in our Hands”. In setting it up and writing the copy, I was reminded of the generous spirit, humility and caring nature of one particular young man. Today I want to take time for all of us, where ever we’re working and whatever the workplace to remember Steven Burke. As part of the “Safe in our Hands” charity dinner, we’re giving all proceeds raised to Francis House Children’s Hospice in memory of Steven. Sunday 30 January was the anniversary of Steven’s death. 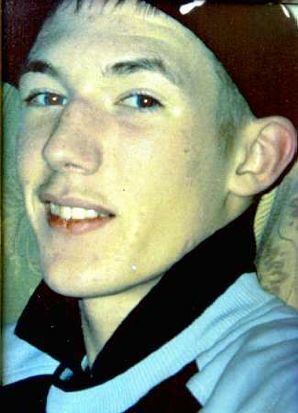 He died too young and aged only 17 years old, in a preventable and tragic workplace accident. People like Steven are the reason why I and my colleagues come into work every day. It’s not rocket science. Too many people are dying or being horribly injured. People who had so much more to give and who leave behind devastated families, friends and colleagues. So think of Steven today and maybe we can start to make stories like Barbara’s a thing of the past. Visit www.fack.org.uk for more information. The Health and Safety Executive released new statistics today around violence at work. According to the main stats, in 2009/10 approximately 318,000 workers experienced at least one incidence of violence at work. I find this utterly shocking. True it’s down from the previous number of 327,000 but it’s still not acceptable. It’s not surprising to see that the highest number of incidents came from people working in protective service occupations (police, prison officers etc). Health care professionals again featured highly. No great shock here as these are sectors which have a greater interaction with people. What was more disturbing was the fact that 5% of offences were actually committed by work colleagues. Employers have a duty of care towards their staff and this extends to ensuring that the people with whom they work are not a threat. I’ve worked since I was 14 – from shop assistant, fast food bunny, waitress, civil servant to a charity bod. I’ve worked in a variety of environments – from serving the inebriated at Cream nights to organising film premieres and to the more sedate typical office working day. I’ve stacked shelves, cleaned needles out of toilets, shaken charity tins and organised PR campaigns. Yet I have never had any cause to fear violence from a work colleague. I cannot imagine coming into work and feeling threatened. Yes it’s a small percentage but the consequences for those people working in fear is far reaching and can cause not only physical distress but could affect their mental well-being and family life. Violence in the workplace regardless of who commits it is not tolerable, but it’s particular heinous from a person in a position of trust.